Astralwerks or Rising High Records pressing? Call to a senior advice ! 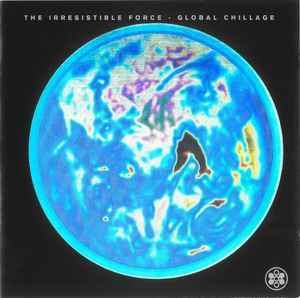 GLOBAL CHILLAGE brings The Irresistible Force around for another round of ambient bliss, as "Natural Frequency" brings in the sustained tones, filling the track with layered chords and arpeggios. "Downstream" brings in some steel pan tones for a momentary island excursion, while "Moonrise" sweeps up and down the spectrum, as if searching for just the right tone, and "Sunstroke" stretches out like a digital sunset, even as the chorus hums its way into being. But for a more melancholy, icy trip, "Snowstorm," with its tablas, blows its way into your head, though it's very reminiscent of his "Autumn Leaves" remix for Coldcut. The psychedelic "Waveform" sounds as if it could have come from his FLYING HIGH album, and the short "Manifesto" closes things one a dubby note. Another extraordinary listening experience. Absolutely agree with hbmf. This is an amazing album, deep and rich and ultimately gorgeous. Who knows why Mixmaster Morris never really followed up on it. It's a shame, but maybe it's enough. I've seen him in the audience at various gigs over the years, he's a distinctive looking man. Someone's transcribed the runout groove words for the vinyl release here and they read like a declaration of intent for our own bewildered political times 17 years later. If you haven't heard this record you really should. I'm a bit surprised there are no reviews of this album yet! It's rhythmic - if your definition of rhythm isn't bass drum and hi-hats - and choc full of gorgeous, inter-weaving melodies and interesting samples. Natural Frequency and Waveform are absolute killers. Get yourself a copy of the US remixes on 12 inch which add some wicked beats while maintaining the overall calm atmosphere. Add in the holographic artwork (prob harking back to pierre henry and prospective 21c label? ), it's hard to think of another album which is both totally chill as well as purposeful and subversively political. A real classic.